In order to make a reservation for more than one person, you will need to add them to your account first. 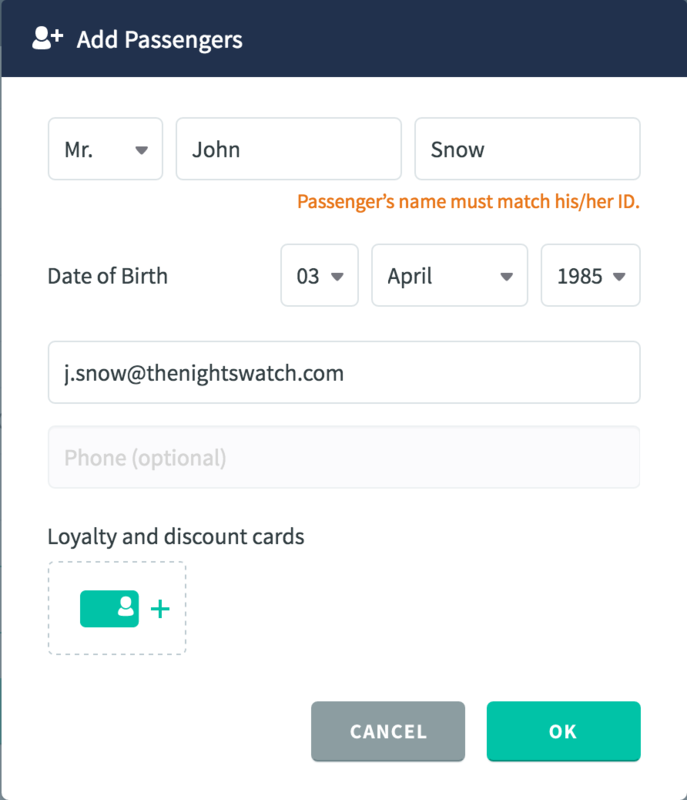 Once you have created a passenger profile for them, they will then be included in your reservations. Click on an existing passengers e.g. your own name. From there you can then create a new passenger. 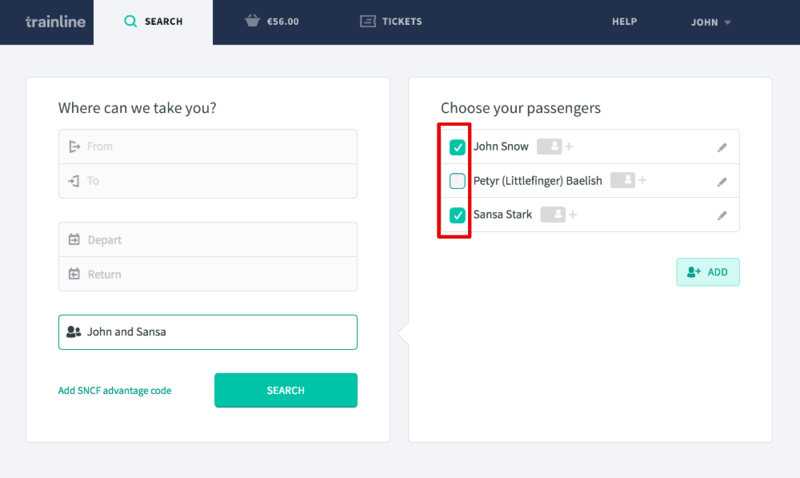 If you would like to exclude or include certain passengers for your reservation, you can use the green check boxes, next to the passenger’s name. 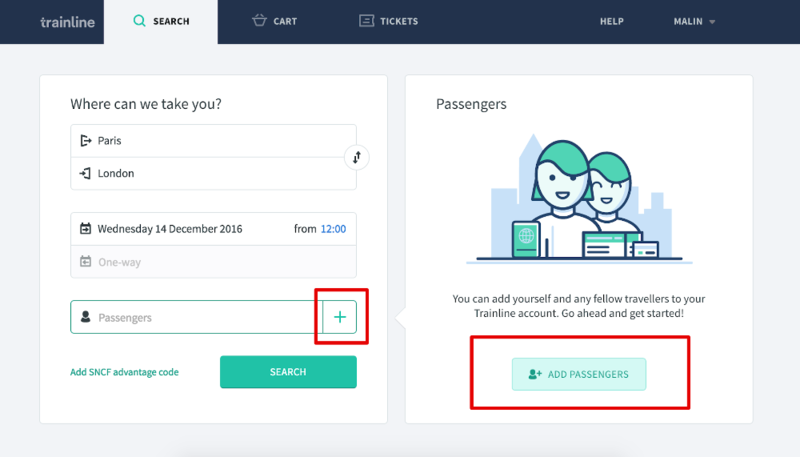 If the check box is selected, then the passenger will be included in the search and in your booking. If it is not selected, then the passenger will not be included in the search and nor in your booking.